Nicole M. McCauley earned her Bachelor of Science Degree from West Chester University in Criminal Justice in 2003 and achieved her Juris Doctor from Widener University School of Law in 2007. Ms. McCauley excelled in her undergraduate and post-graduate education and focused her course of study in the areas of criminal and family law. At a young stage in her career, Ms. McCauley recognized the need for skilled individuals to assist families during the difficult stages of life and she has remained committed to providing such assisting throughout her career. 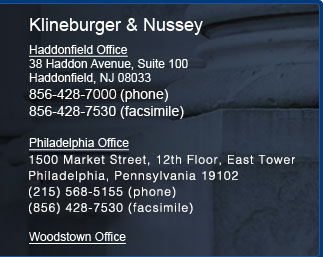 Ms. McCauley joined the law firm of Klineburger & Nussey as an intern during her law school career and immediately immersed herself in her areas of focus. 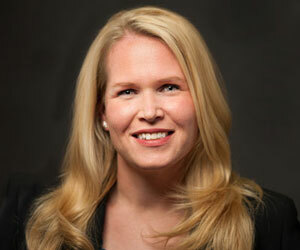 Upon graduating law school, Ms. McCauley began her practice as an associate with Klineburger & Nussey, where she has continued to focus on family matters, involving divorce, custody, child support, alimony, equitable distribution, prenuptial agreements, equitable remedies and domestic violence, as well as criminal matters. Over the years, Ms. McCauley has become a well respected attorney among her peers, the Courts and her clients. In fact, she is well regarded as an intense litigator and negotiator. Since graduating from law school, Ms. McCauley has litigated many cases to conclusion with successful decisions achieved on behalf of her clients. She is well versed in the area of Domestic Violence and is sought out for her knowledge of the subject and skill in the Courtroom. Never one to back away from a trial, Ms. McCauley protects her clients through and through. In her free time, Ms. McCauley devotes herself to community activities in both New Jersey and Pennsylvania and is an avid participant in sporting events.